GoDaddy’s services are experiencing intermittent outages today. The attacks brought down huge number of websites that are using DNS and hosting services provided by GoDaddy. However, GoDaddy released no official figure that tells how many websites were affected by the attacks. 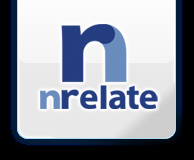 nRelate is another “ LinkWithin alike ” Related Content Engine, which serve to display related articles to the readers. Generally, Related Content Engine works effectively in engaging readers to spend more time and read more articles on a site. nRelate in addition serves as a better alternative for those who are looking for more features, rather than just to aim for more page’s counts. nRelate started in 2010, and they are now serving more than 45,000 sites around the world. According to Alexa, nRelate.com is currently ranked at 15,567 globally (as at 29 August 2012). LinkWithin is operated by a small team based in United States, New York City, which had been stated in the LinkWithin’s contact page.